Mrs. Cheng will be fitting freshmen and new members. ALL orchestra members should try on their concert clothes before Wednesday morning to see if your concert wear still fits and that you have all the parts including vest, tie, etc. Now is the time to get new/slightly used items. If you have questions, please contact Cecilia Cheng. After class on Friday, I boarded a plane to San Francisco to visit my cousin. Even though San Francisco is not very far away, I felt like I was in another land! I was struck by how different that city is from where we live. It pointed out to me how much I like to travel and see different places and the people who live in those places. Traveling with musicians and playing concerts is a very special way of traveling. Not only does the musician see new places and people, but the musicians bond together by traveling together. Each performance becomes a special event. I am looking forward to our tour to Ireland in March and I hope that many of our students will be going! Please come this Wednesday evening at 7pm in the Band Room to hear Mr. Stone and myself give a presentation about the details of the Ireland Tour. Registration and Forms Due September 1st! Welcome to the 7/8 Band and Orchestra! We are so glad you are here! For 2017-18 we are doing the registration for Band and Orchestra online. We will gather your contact information and you will have an opportunity to donate to our program. Please remember that the contributions you make go directly to the MPA — the District provides no direct funding for Instrumental Music. The MPA uses these funds for everything and anything it takes to make a successful program, and for 7/8 that means each member will receive a t-shirt; meals at 7/8 Night, Winter Concert, and Elementary Tour Day; transportation to/from the Elementary Tour and a possible Disneyland trip. We will also need the Field Trip Form, and Field Trip Rules & Regulations form to participate in all field trips or excursions. Upcoming for 7/8 Band… 7/8 Night on September 15th. All 7/8 Band students will perform with the 9-12 Band during pre-game, and in the stands at the home football game that evening. They will rehearse with the High School Band prior to game time. Keep an eye out for specific details in September. Upcoming for 7/8 Orchestra… Fall Concert on October 25th at 7pm in the LCHS Auditorium. Please stay tuned for further details. We are continuing to collect forms this week. If you haven’t yet handled your registration, please see below. Orchestra registration is online. We will gather your contact information and you will have an opportunity to donate to our program. Please remember that the contributions you make go directly to the MPA — the District provides no direct funding for Instrumental Music. The MPA uses these funds for everything and anything it takes to make a successful program. We will also need the Field Trip Form, and Field Trip Rules & Regulations form to participate in all field trips or excursions, and the signature page for the Orchestra Syllabus. We have made it through the first week of school! Everyone is getting used to playing in the group, old-comers and new-comers alike. Our new music folders arrived this week and they are beautiful. We are 77 strong this year and are already making music together. Very exciting! Tomorrow night, Monday, August 21st, 7-8pm in the band room is our first meeting of the Music Parents Association, or the MPA. This is the parental support group for instrumental music at LCHS. I invite all orchestra parents to come and meet other parents and get involved in your child’s music program. Our instrumental program is very large and needs lots of support from many people, and Mr. Stone, Mr. Myers, and I would not be able to do everything that we do without this support. Last year, the MPA was hugely important with the orchestra being able to go on the first Winter Retreat. Please come! I’m sitting at a kid’s birthday party where the UCLA National Champion Quidditch team is showing the kids how to play Quidditch (the non-flying broom type). It’s truly the silliest looking game as kids run around with their brooms between their legs (a PVC pole), trying to avoid bludgers (dodgeballs), trying to score points with the quaffel, while waiting for the snitch (someone wearing gold shorts with a flag attached to the back) to come out and end the game. It’s silly but crazy fun. As I look at this game, I see the hard work it would take for the UCLA team to be so successful and I think about how that compares to our process. The skills required to be successful in band, color guard, orchestra, and quidditch all boil down to hard work and being present. Hard work is the only way our skills get better and being present allows the wisdom of those who have done the hard work (and still continue that work) to teach and share their insights on what it takes to be the best you can be. I love that about music and magical/non-magical sports! Have a great week, be present, and enjoy the hard work! Get your orders in by Friday! Remember that half of the proceeds from each order your student collects goes straight into your student’s account! Go to the Gift Card page for more information. Our two first aid kits are missing. We take these with us whenever we travel, to rehearsals, to competitions, etc. We need someone to help us and gather all the things necessary so we can replace them. If you’re interested, please let Sandy Miller know. Thanks in advance for your help! If you haven’t had a chance to complete online registration, please do so. 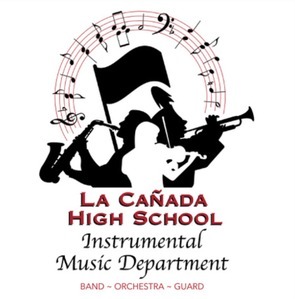 This form will give us up-to-date contact information as well as provide you with an opportunity to financially support the LCHS Instrumental Music Program. 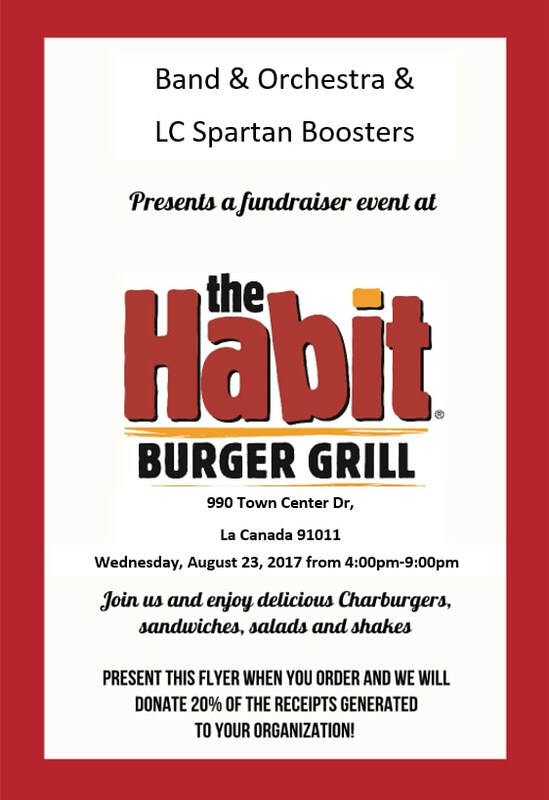 Please make all donation checks payable to “LCHS MPA”. Transportation donations for Band and Color Guard are now given to the MPA, and not to the ASB. Only pay the ASB if your child plays a sport in addition to Band and Color Guard.